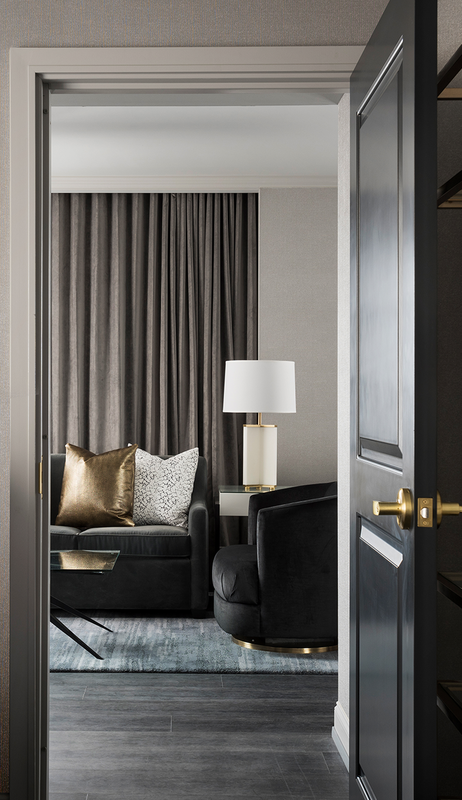 From fabric to fabrication and installation, you can finally get everything for your window covering specifications from one trusted source – beginning to end. 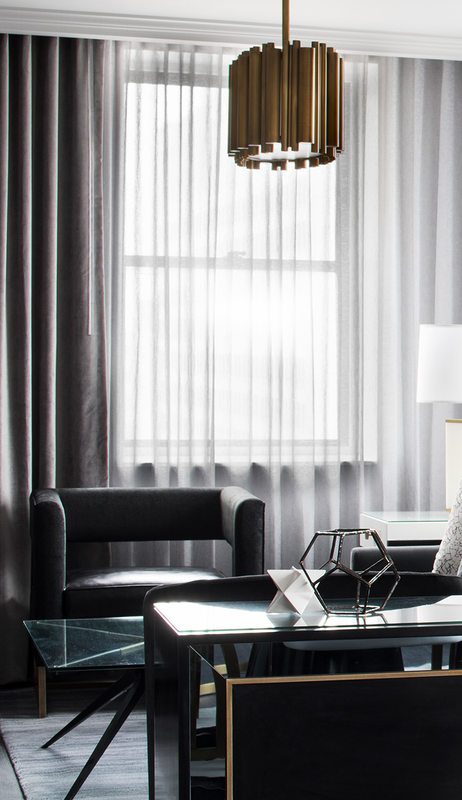 In 2017, Valley Forge joined forces with CDI, the hospitality industry’s leading source for custom window treatments. Together we have over 60 years of knowledge and experience in custom textile design and window treatment fabrication, including manufacturing our own decorative treatments in our Massachusetts factory. We specialize in your unique requirements associated with custom fabricated window treatments. To ensure we get the job done right, we have recruited the best of the best to join our Window Treatment Project Management team and our ever-growing fleet of 70 + expert installers. Pinch Pleat is a universal window treatment that offers a full, even look to drapery. This fabrication style is best suited for blackout applications, and provide superior light control for a consistent, balanced look with no light leakage. This style is best suited for guest rooms and other areas where a blackout is needed. Fullness most typically requested 200% to 250%. Four lining options include 2-pass and 3-pass blackout applications. Available in center-open, off-center open, one-way draw or stationary. Three-finger pinch pleats spaced approximately 3" to 5" apart. Attaches to slide carriers with slip-in hooks. NFPA 701 fire rating requirements must be met for all specified fabrics. CDI, A Valley Forge Company, uses COM except for specified brand standards. Ripplefold offers an identical appearance from either side and offers a clean look and feel and is preferred when 6-10 inches between window exists. This fabrication style procures a more contemporary/modern look, perfect for public spaces when blackout is not required. Fullness most typically requested 100%/200%. For guest room use this fabrication must have a top treatment for blackout. Drapery panels fastened via snap tape to track for balanced spacing, and elegant contours. Valley Forge Fabrics offers a large selection of custom roller shades with a variety of fabric type options, including sheer, semi-sheer, semi-opaque, blackout, custom printed patterns and photography. With custom print roller shades, design possibilities are limitless; virtually any image, creative arrangement, or pattern can be featured to fit your concept. Our roller shades are fully customizable for any application or preference. We offer solar screen fabric roller shades for better or less visibility, light and privacy controls as well as UV blockage. Choose between our blackout roller shades for total room darkening or dual roller shades to control privacy and visibility. 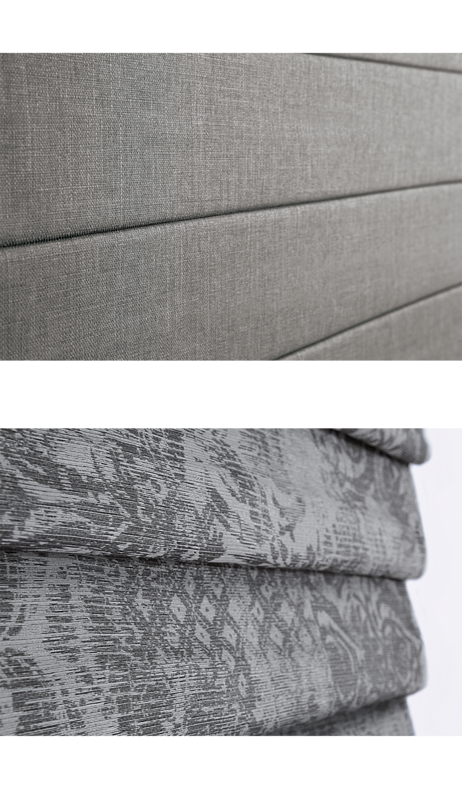 Top treatment options include decorative fascia for a more contemporary, urban look, solid or upholstered pocket treatment to conceal the actual roller. 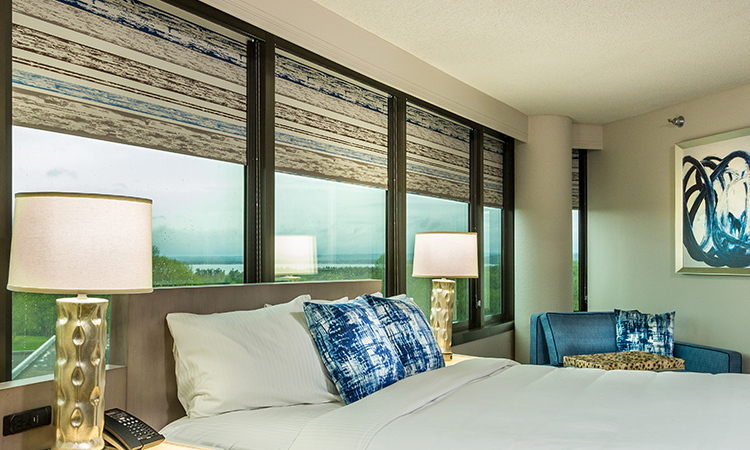 In addition to manual clutch options with a 5-year warranty, we also specialize in motorized roller shades for a modern connectivity solution as well as easy compliance to ADA standards. Our products are your solutions. Roman Shades help bridge the design gap between the more traditional look of full drapery panels and the ultra-modern aesthetic of a roller shade. Folding into themselves is considered a space saver however when opened they are visibly smooth. Roman Shades are perfect for conditions where you cannot install a full drapery, like built-ins and banquettes. Flat Back Pleated and Soft Fold styles available. Unlined, dim-out, and 3-pass blackout fabrics are available.